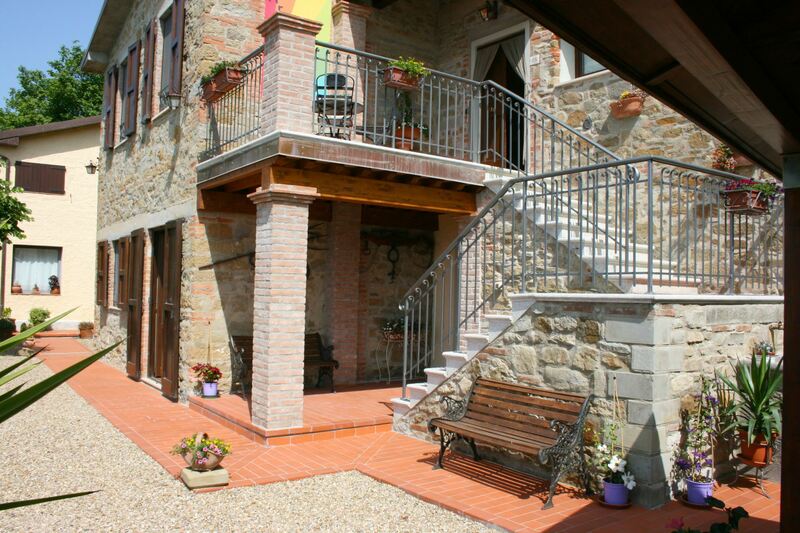 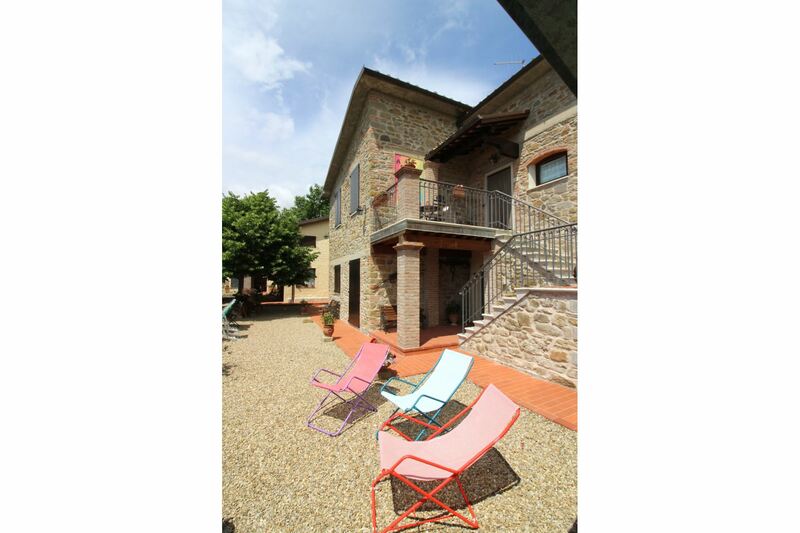 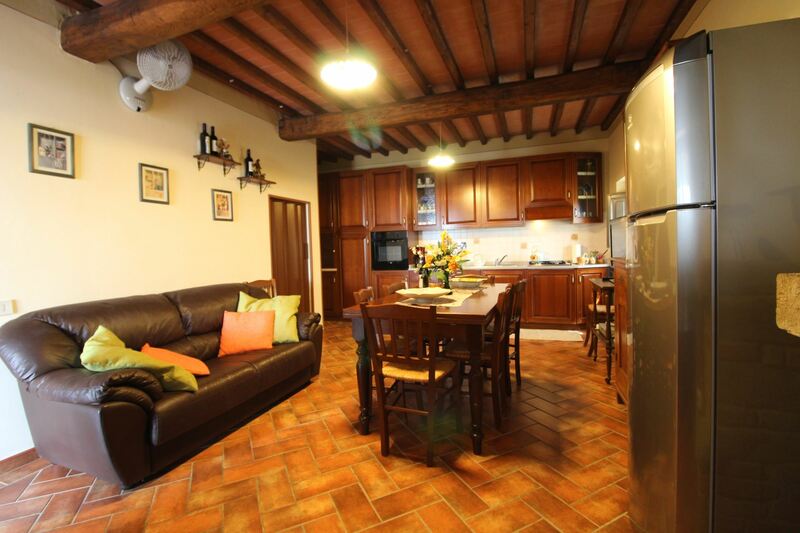 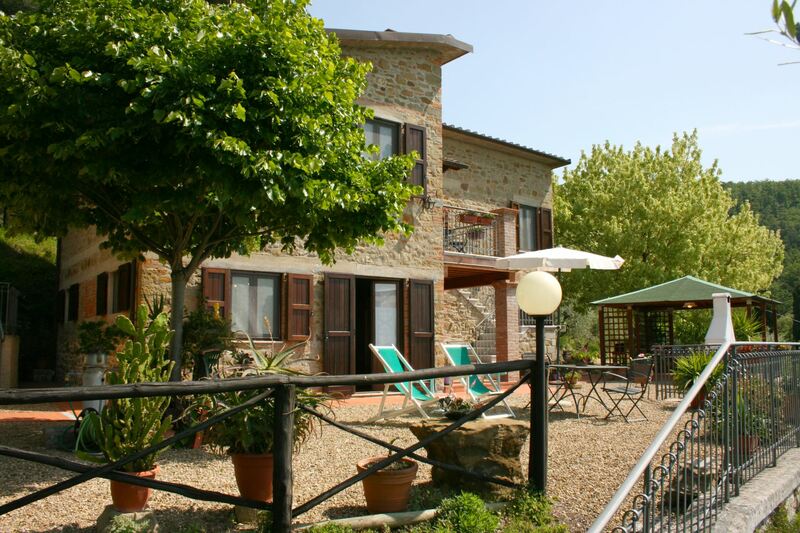 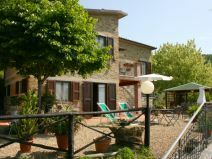 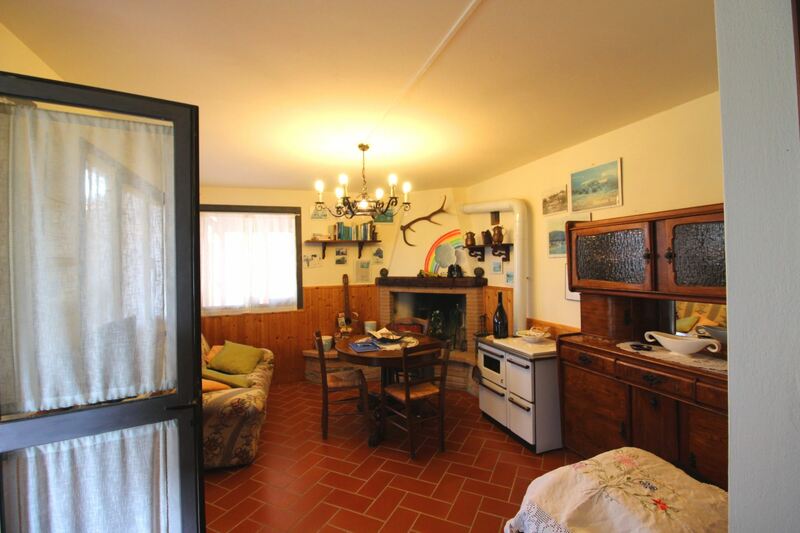 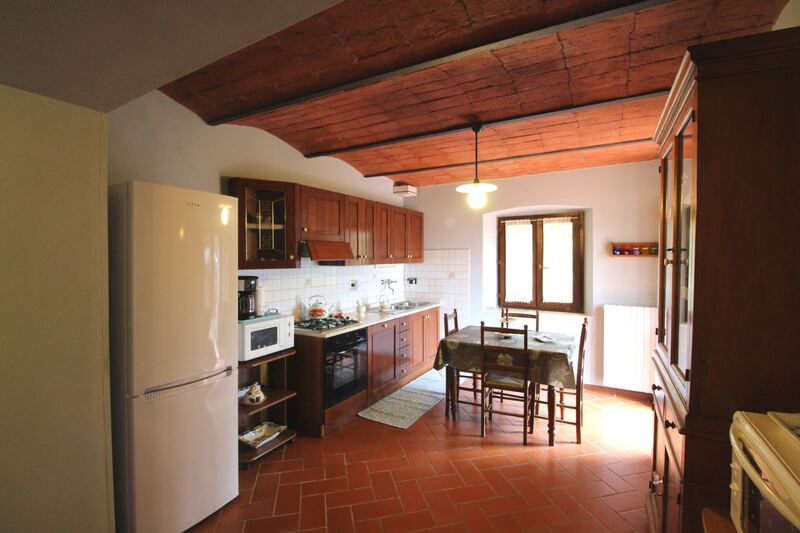 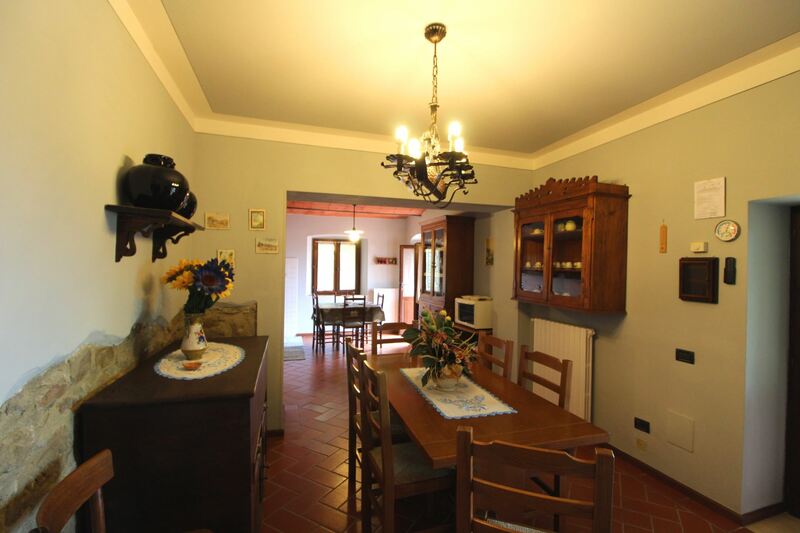 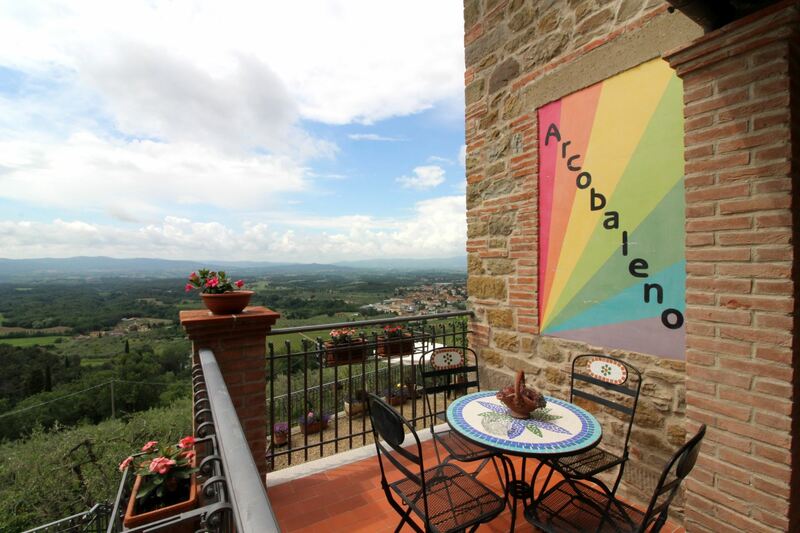 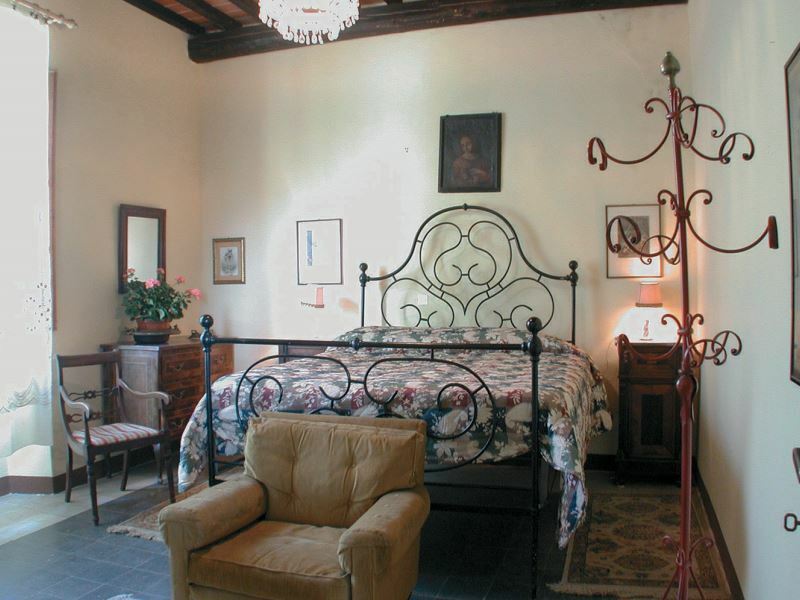 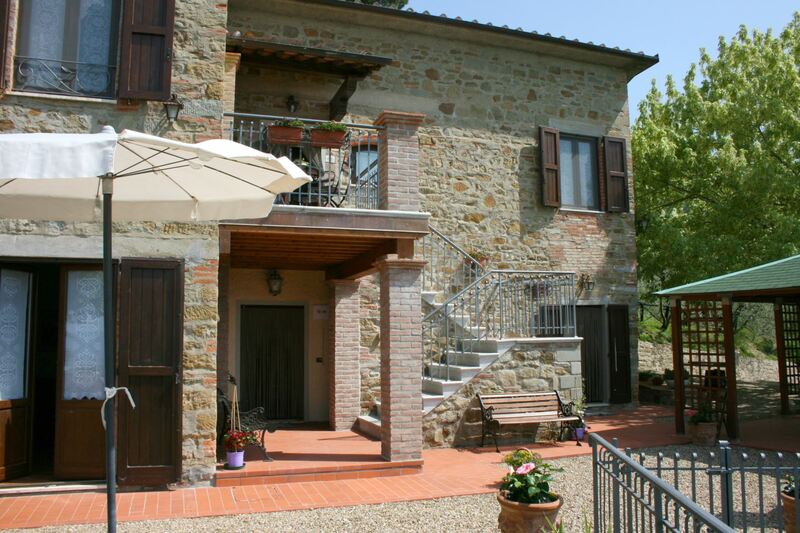 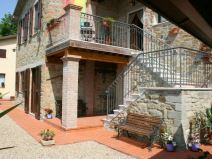 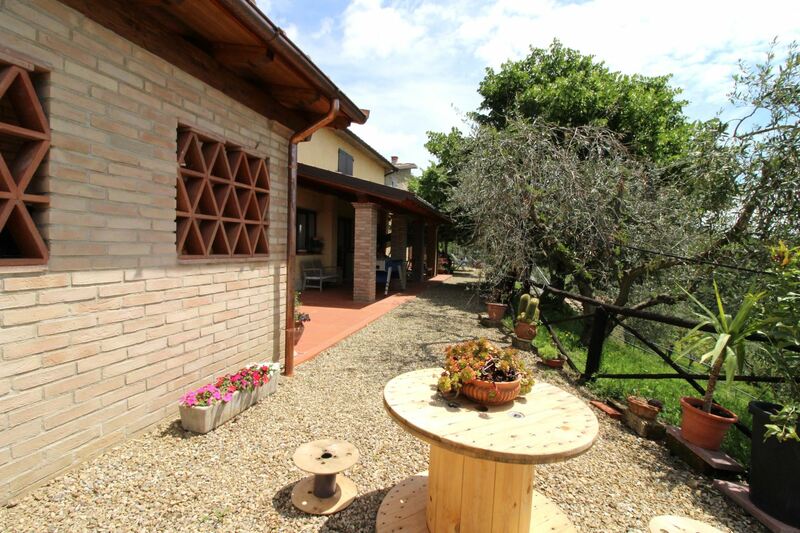 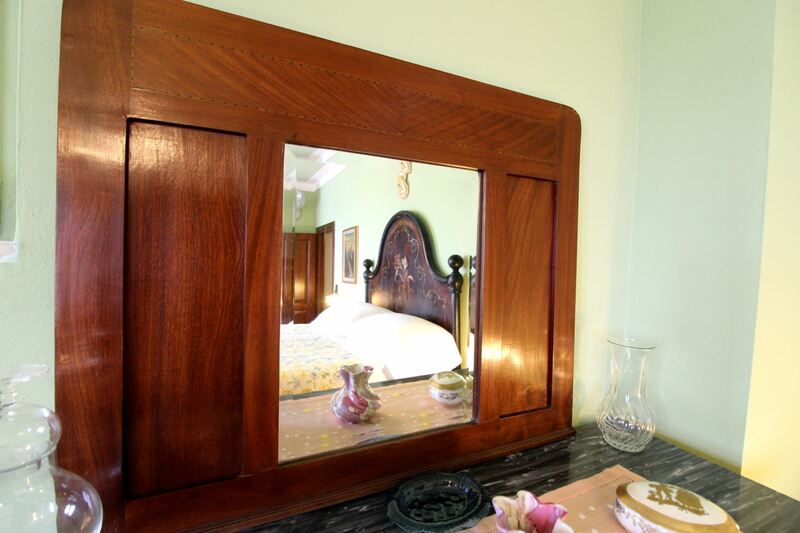 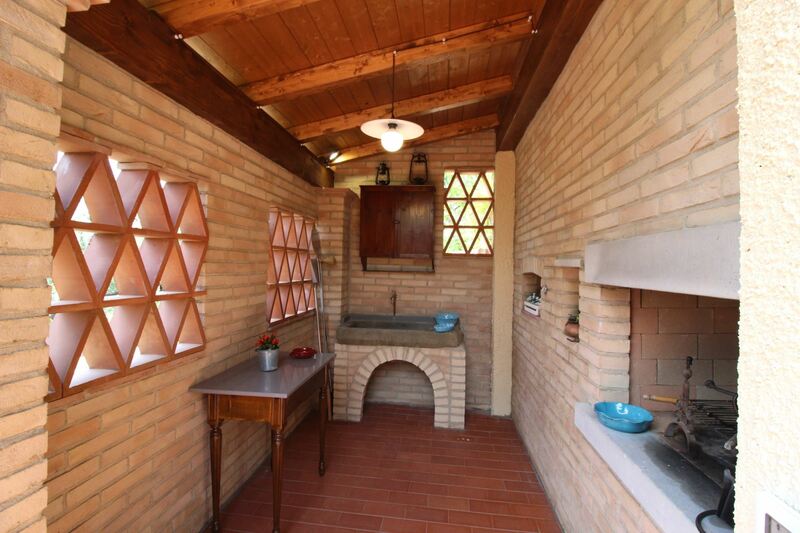 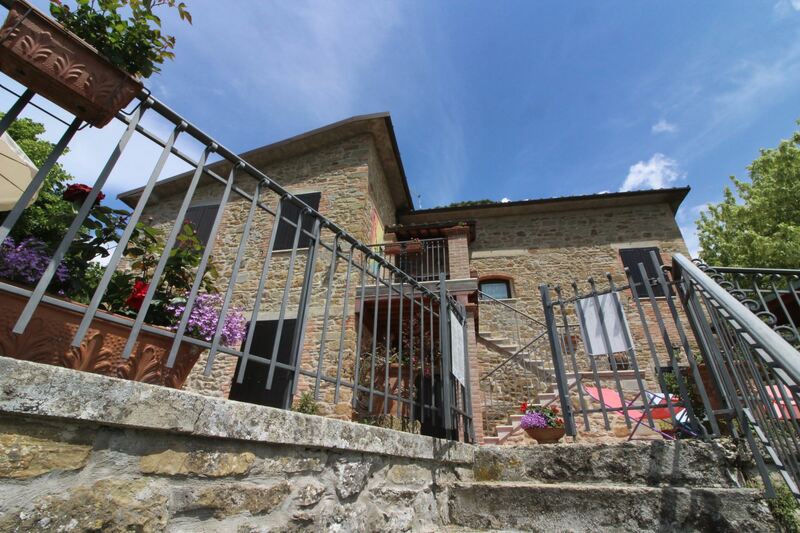 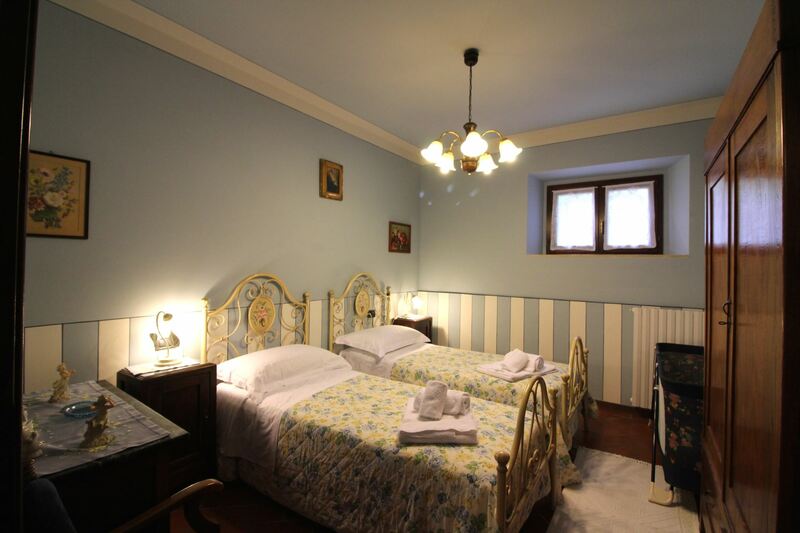 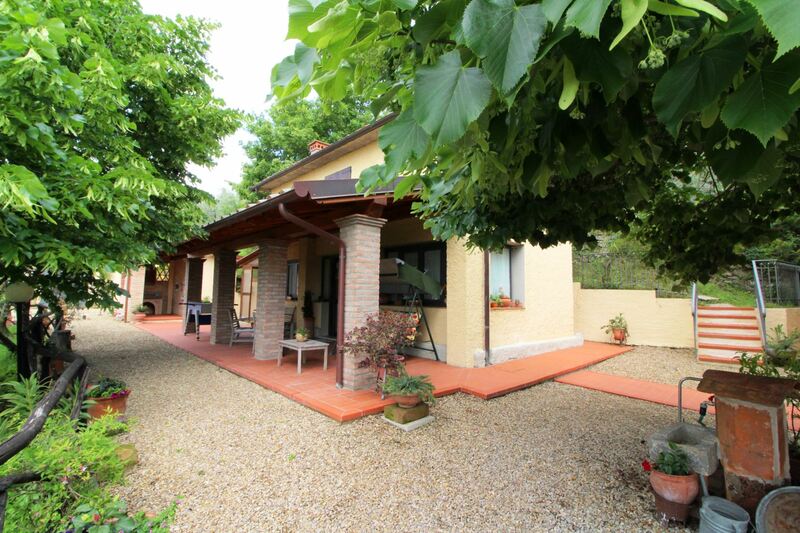 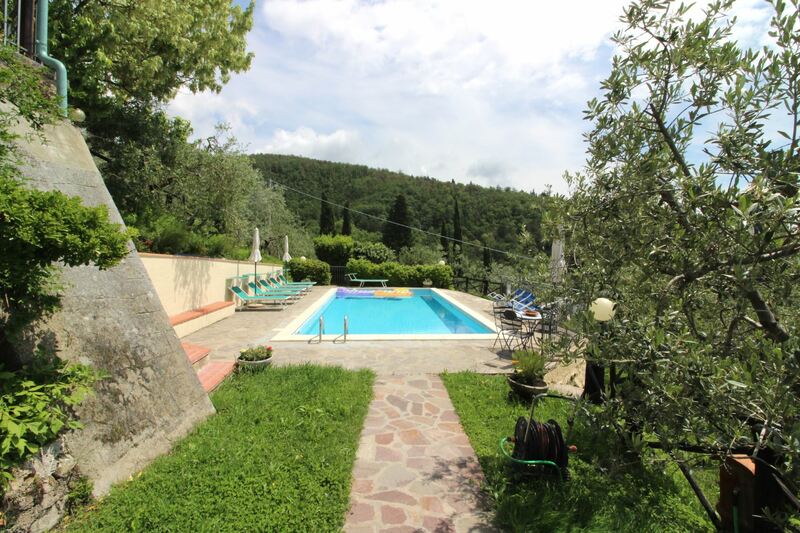 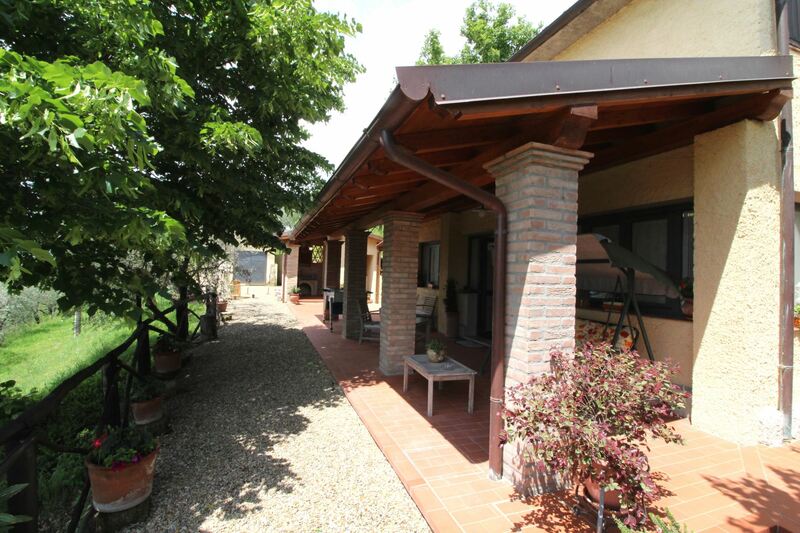 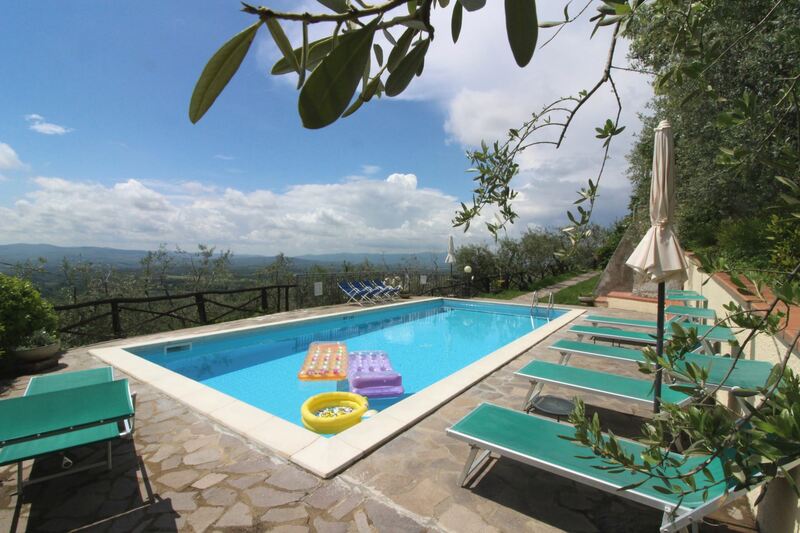 Carefully restored typical farmhouse, originally inhabited by the writer Vasco Pratolini, with its original character intact has been transformed into a welcoming holiday villa. 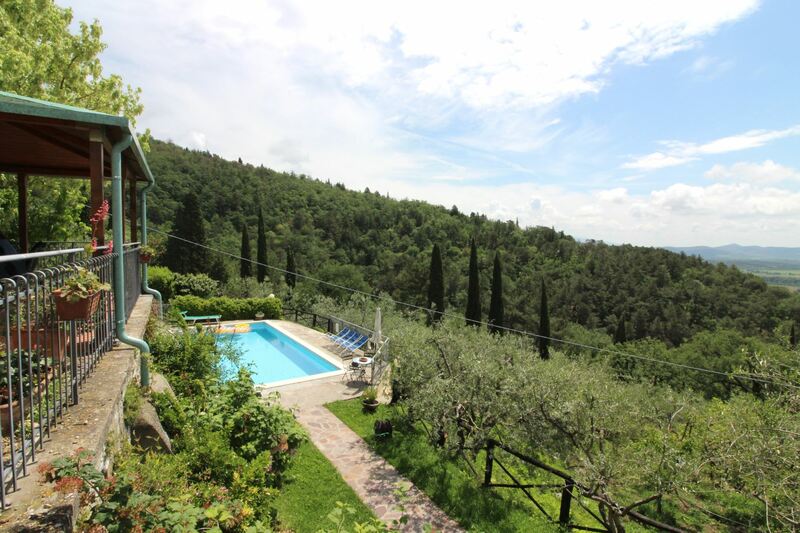 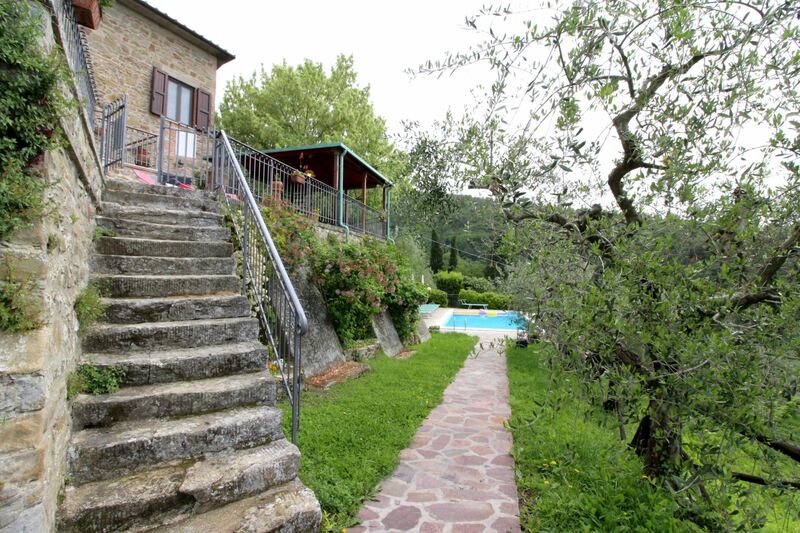 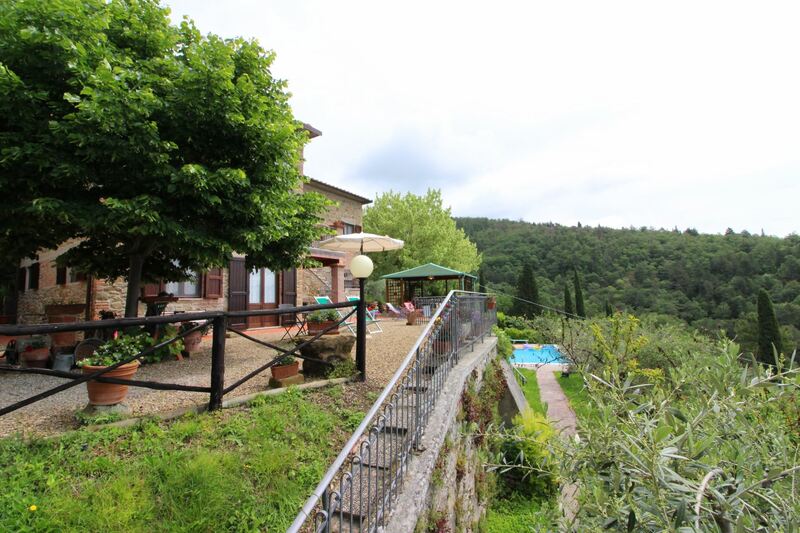 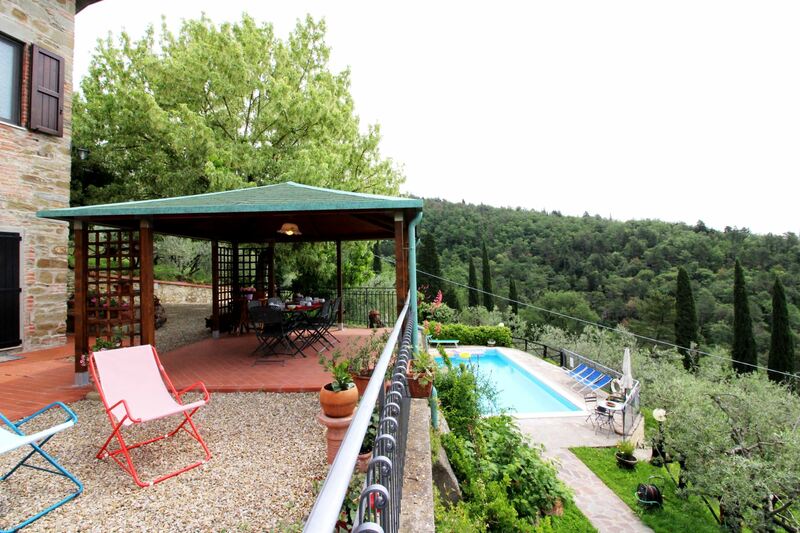 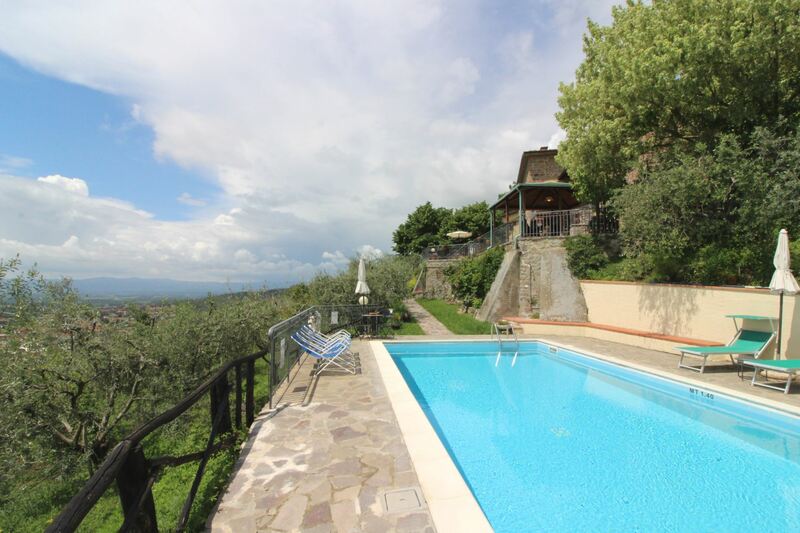 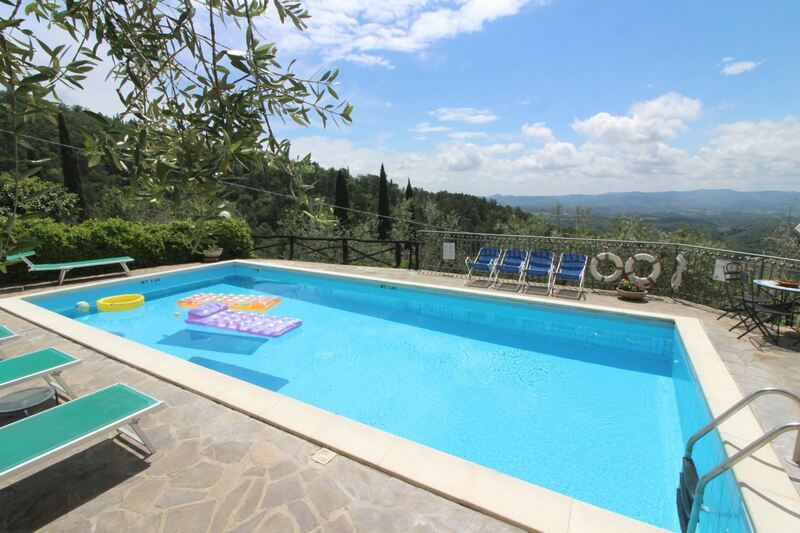 Set on the slopes of the Pratomagno high mountains rising from the Arno valley, the house is surrounded by terraces of olive groves leading down to the road of the Seven Bridges built on the remains of an old Etruscan road. 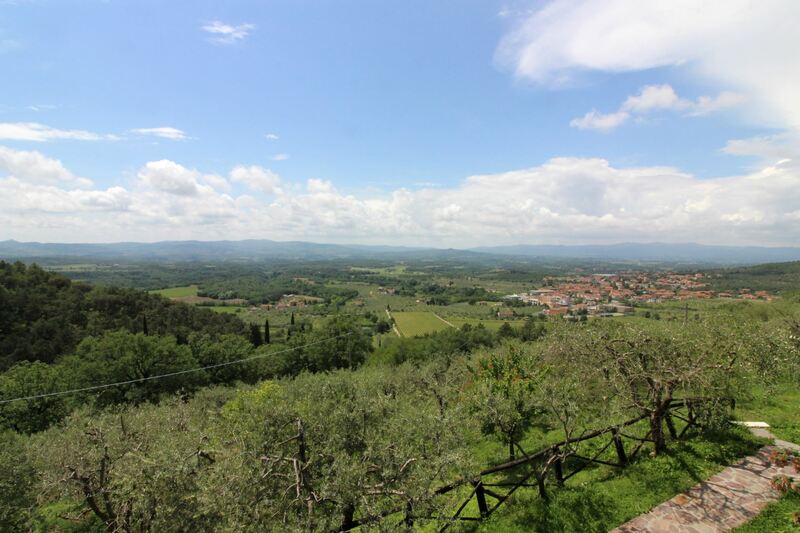 The village of San Giustino Valdarno with restaurants, bars and shops is only 1 km far and can be reach with an easy walk. 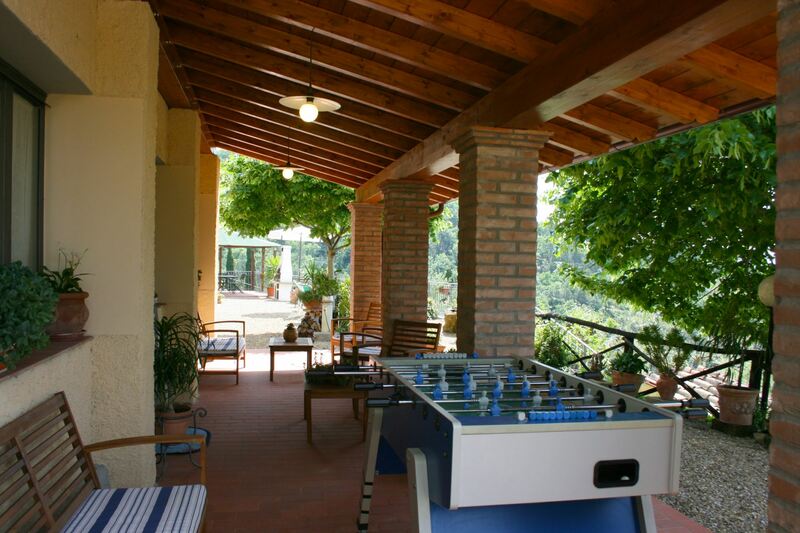 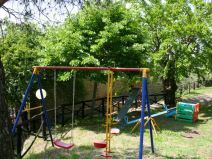 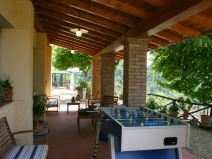 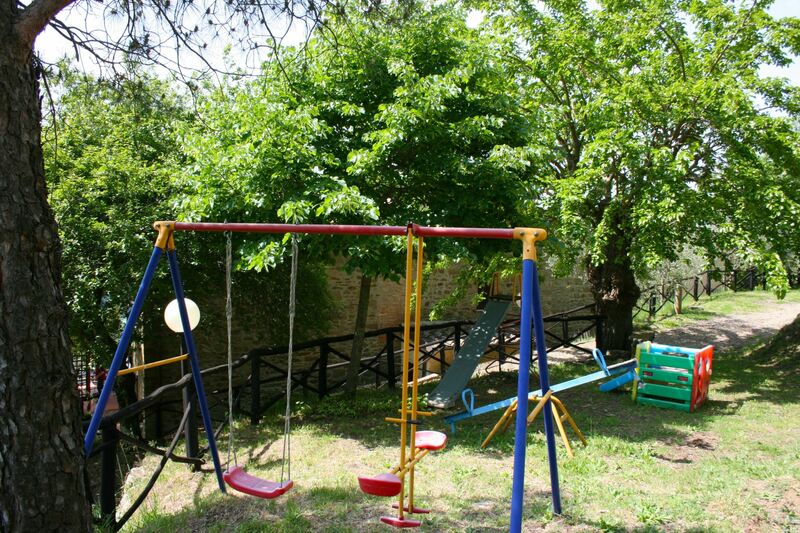 Close by the house on a natural terrace surrounded by olive groves and oak woods there is a children's play area and a table tennis. 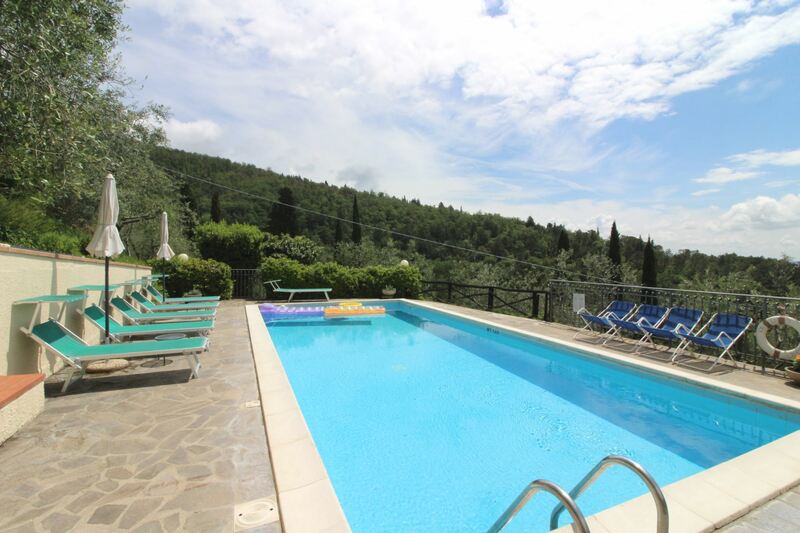 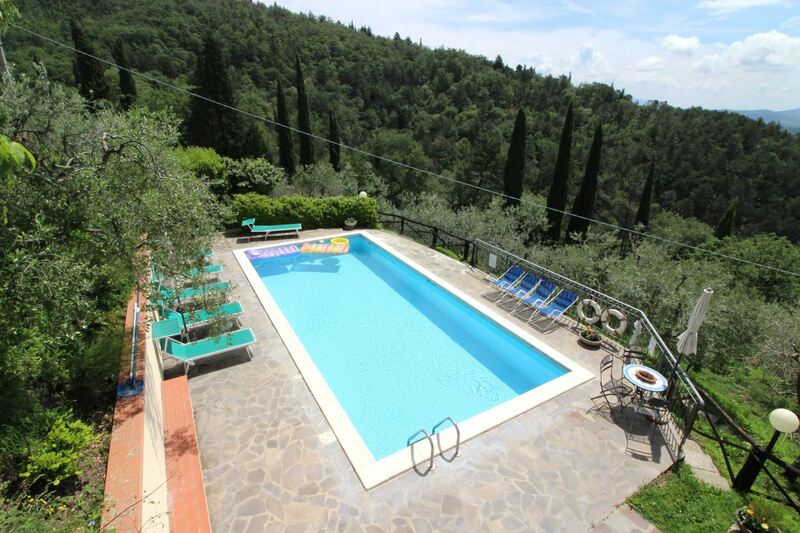 In a sunny spot with lovely views there is a 10x4,5 meter completely fenced swimming pool (depth m. 1,40) equipped with loungers, tables and sun umbrellas. 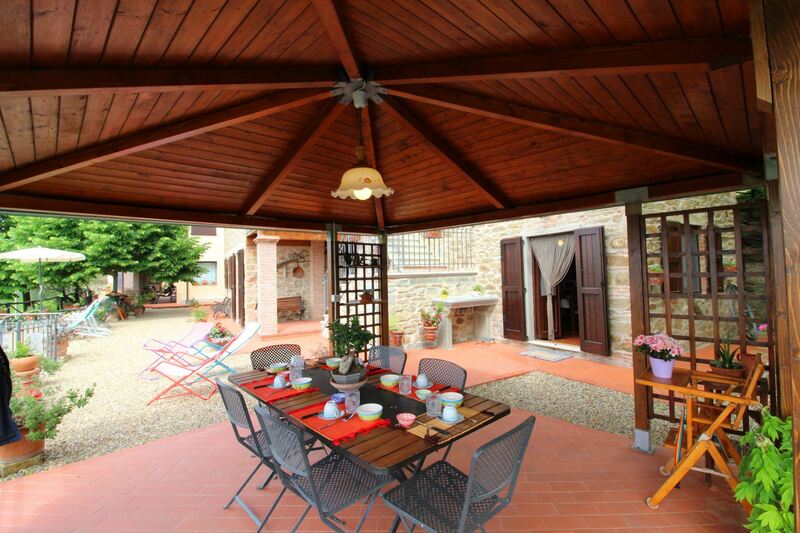 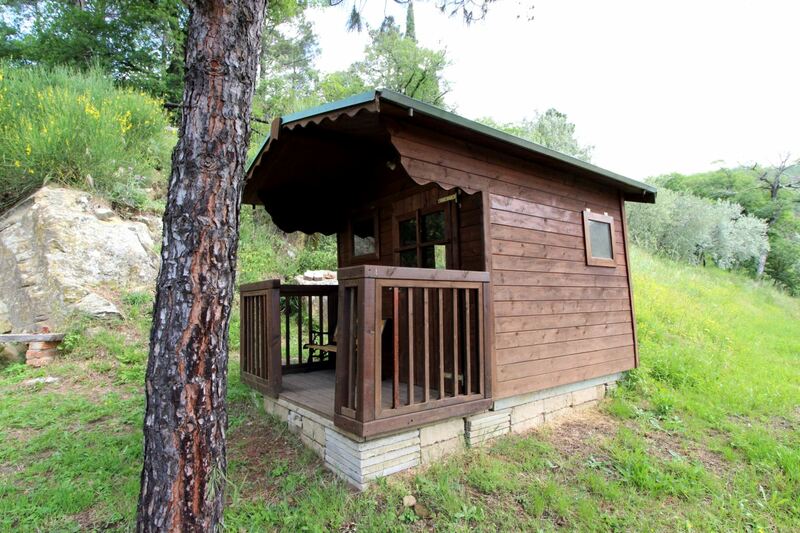 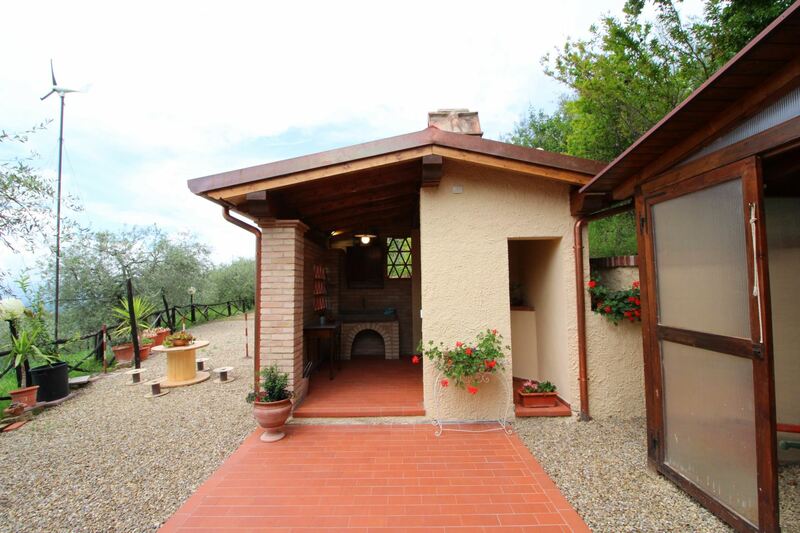 In front of the house there is a pretty wooden gazebo with table, chairs and barbecue ideal for outdoor meals. 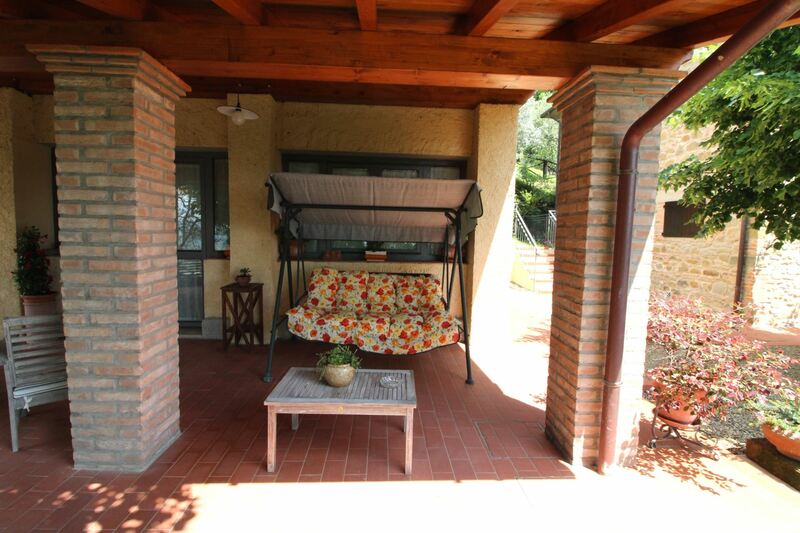 Inside the villa and in the garden is available free Wi-Fi internet connection. 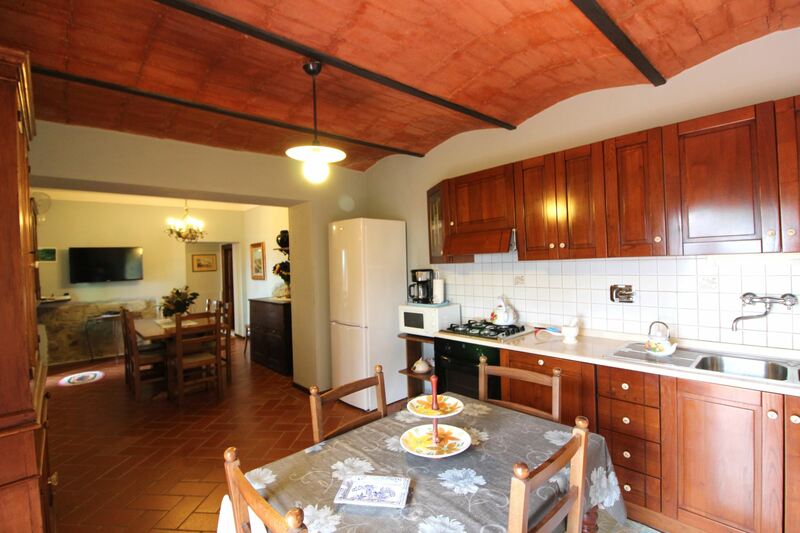 GROUND FLOOR: large kitchen-dining room, double bedroom, twin bedroom, bathroom with shower. 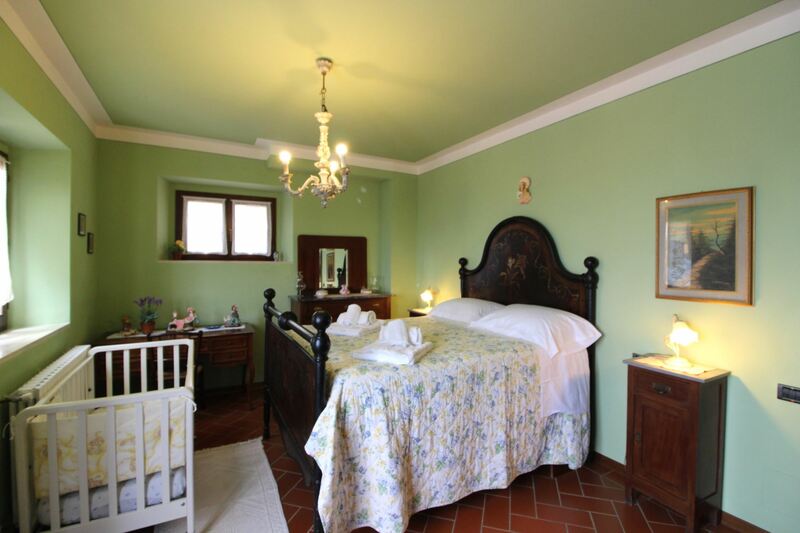 The bedrooms and the dining room are endowed with wall fans.